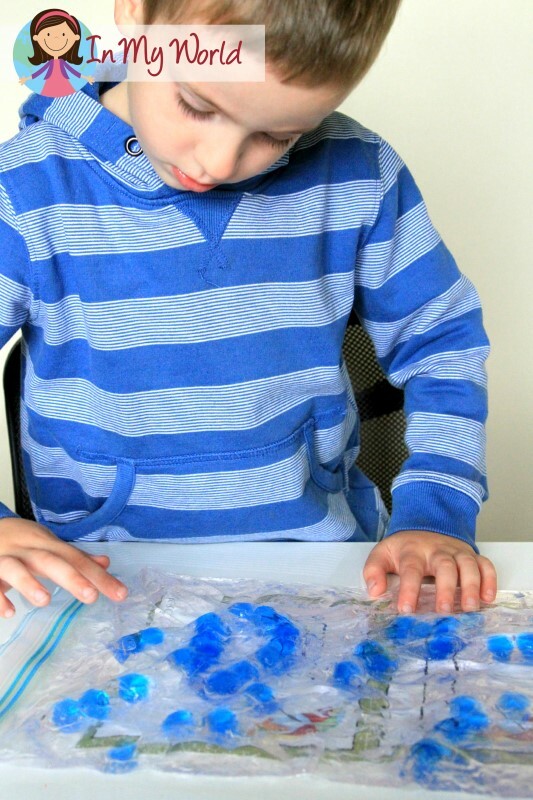 Our hair gel and gel beads sensory bag from Letter T was a huge hit with my lil’ learner, so we used it again this week. 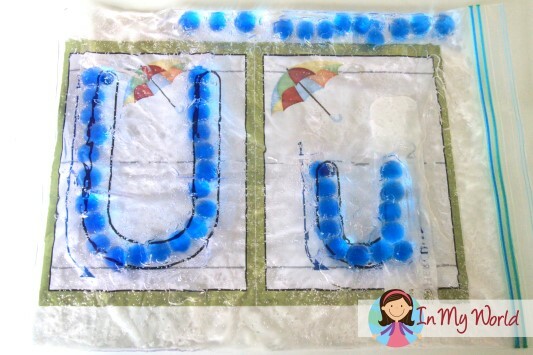 Here is the completed Letter U on our play dough mats. 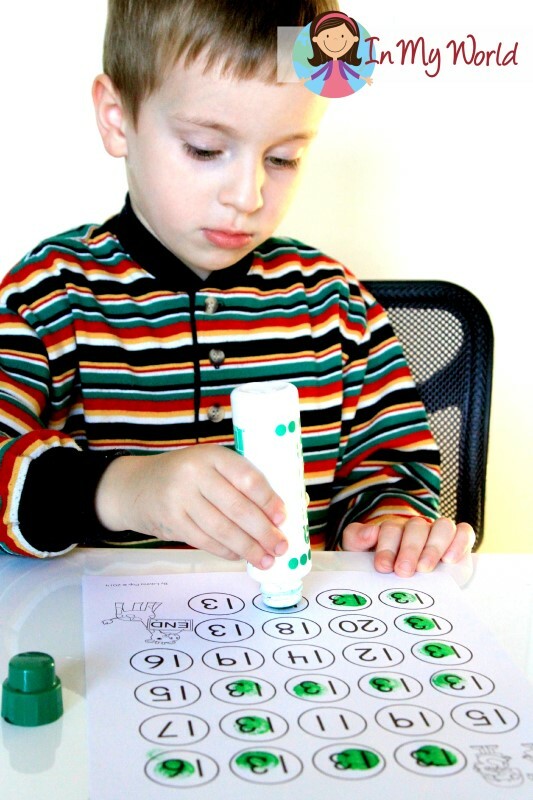 Next, Filip found all the upper and lower case U’s from our Letter T Letter Find packet. 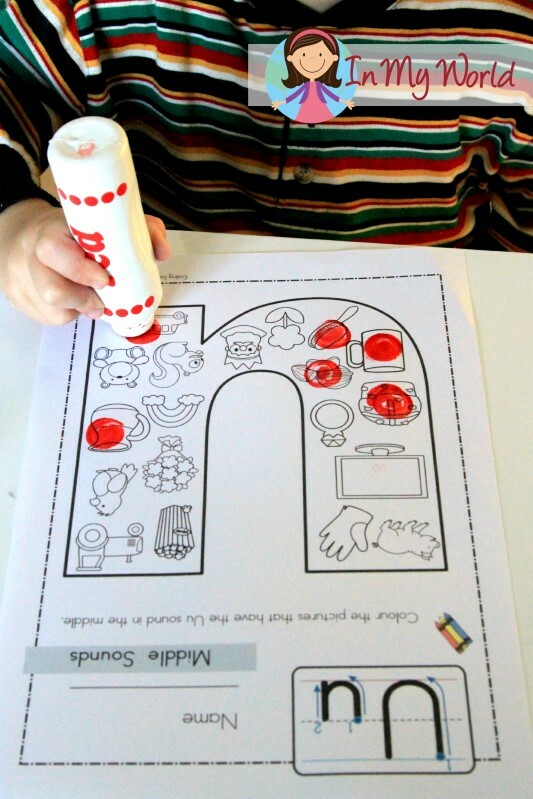 We then did a Letter U beginning sound page from our Beginning Sounds: Color It unit. 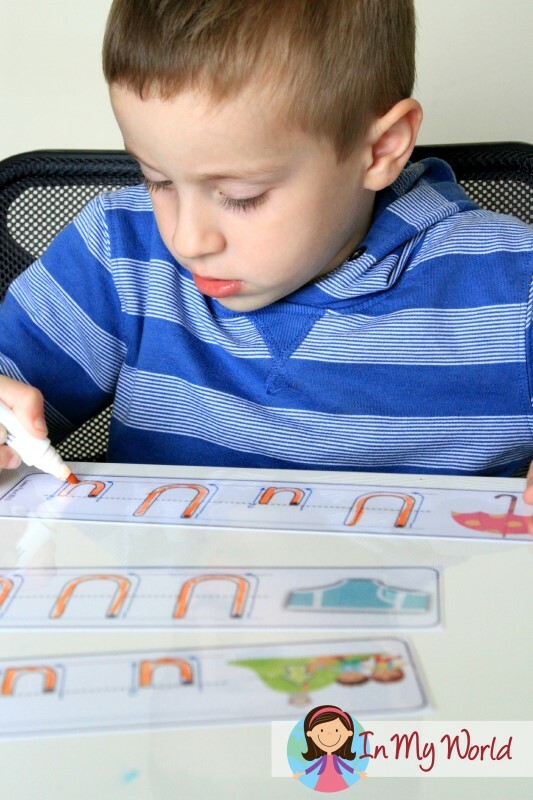 Next, he practiced writing upper and lower case U using a whiteboard marker on our Write and Wipe cards. Then we sorted some picture cards from our Sound Hound unit to show the sound position of the “U” in each word. 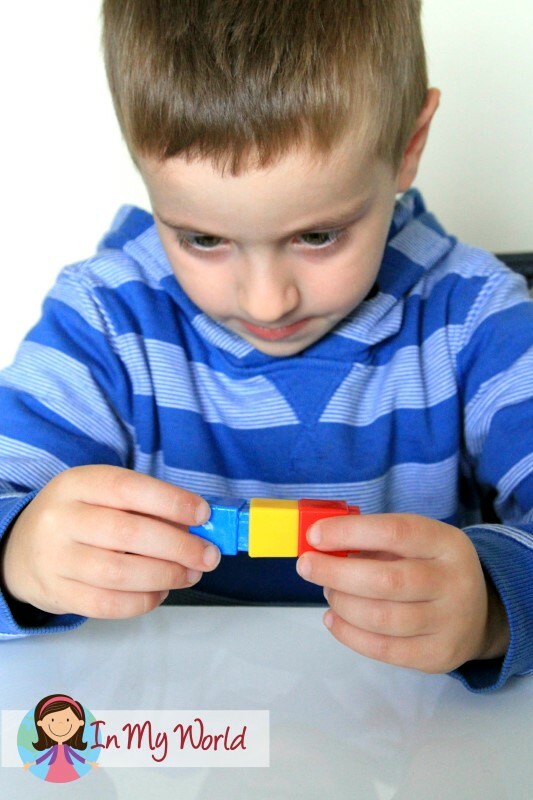 He then counted out 13 unifix cubes and made the pattern from our Number 13 Play Dough Mat. 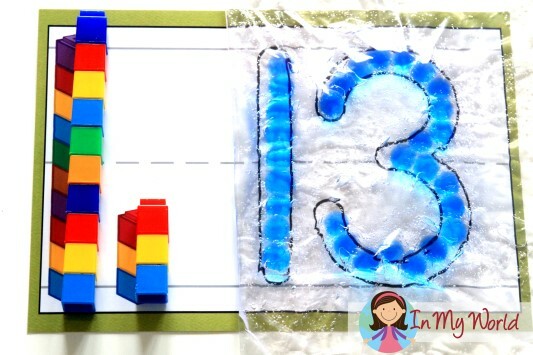 Then, using the gel sensory bag, he made out the number 13. 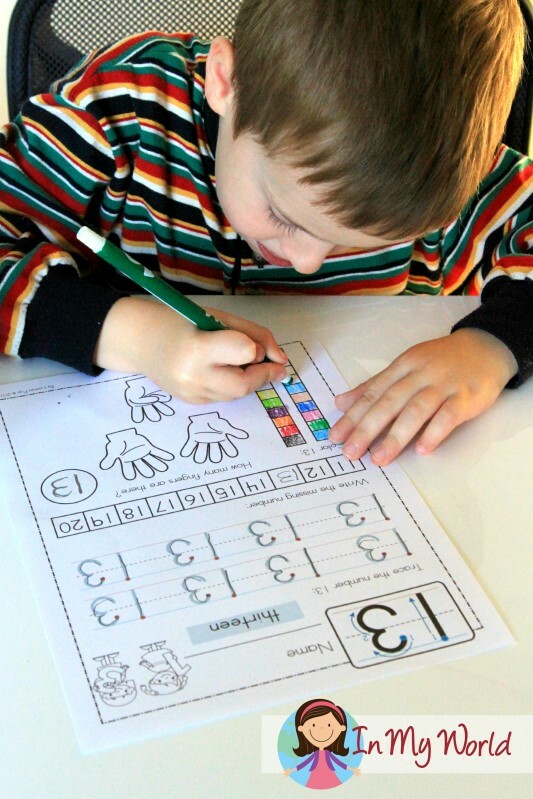 Then Filip practiced writing the Letter U and reading the CVC words on this worksheet from our Introducing the Alphabet packet. 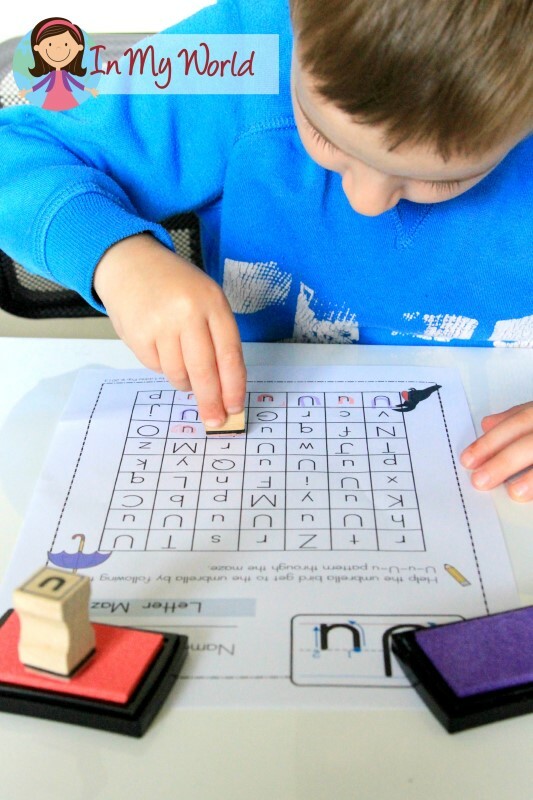 We finished Day 2 with a fine motor Letter U printable from 1plus1plus1equals1. He LOVES these pages! Here he is, dotting at Dawn DeLorenzo’s Gumball Dot It! 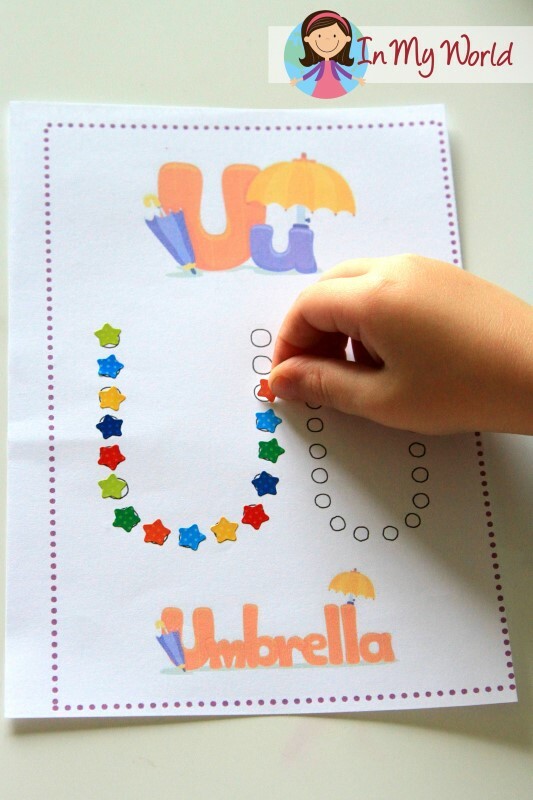 Letter U activity page. Next, Filip dotted his way through the Number 13 maze. Then completed a Number 13 worksheet. 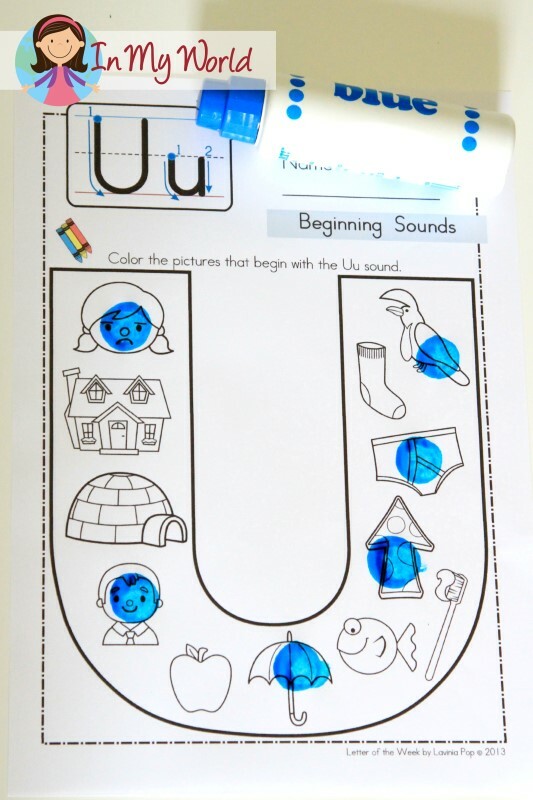 We did a Letter U sound page, this time looking for the “U” in the middle sound position. This is available in our Ending and Middle Sound Color It! Packet. Then we read our “ED” word family flip-flip book. 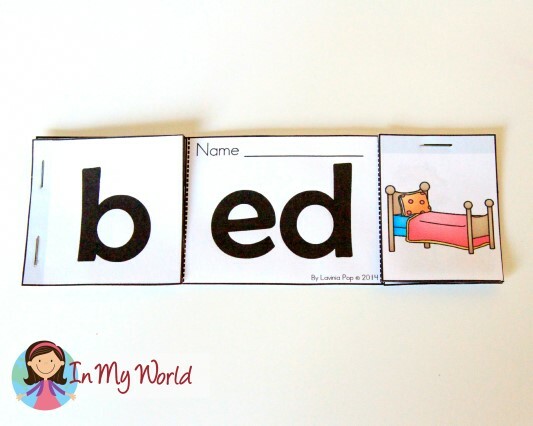 And finished the week off with a letter U craft! 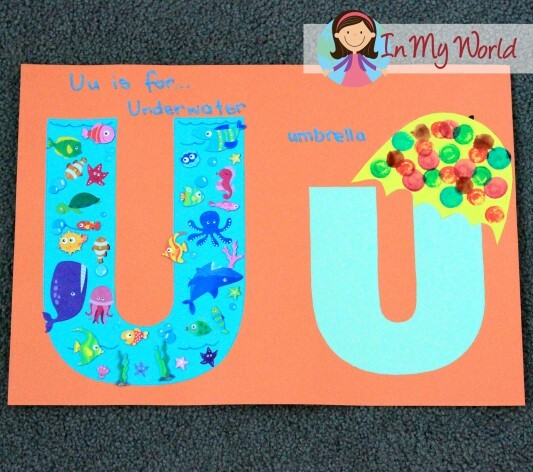 U for underwater and for umbrella. And there you have it! 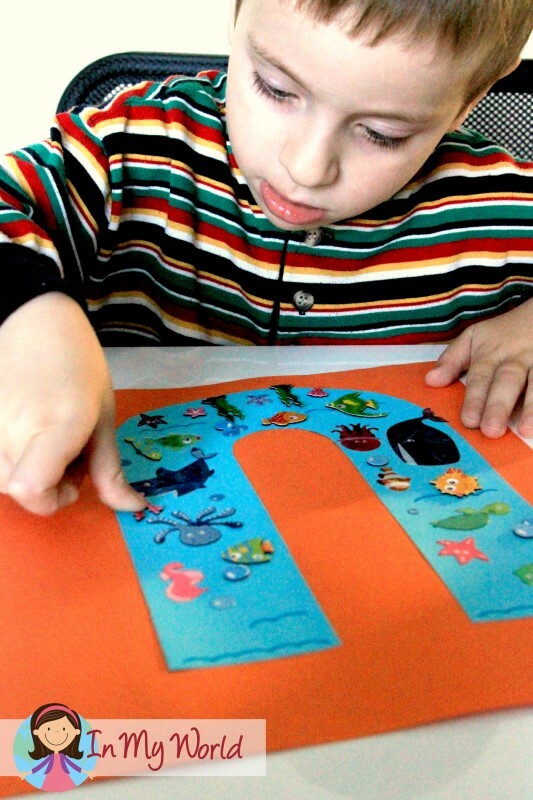 Another Preschool Letter of the week all done! I love your blog, your graphics, and all the awesome resources you share! You are amazing and I’m so grateful that you have taken the time to make all these educational resources. I have been using them with my kiddos for the past year and they can’t get enough. I can’t thank you enough! You have such a wonderful talent! Love your website, truly a blessing! 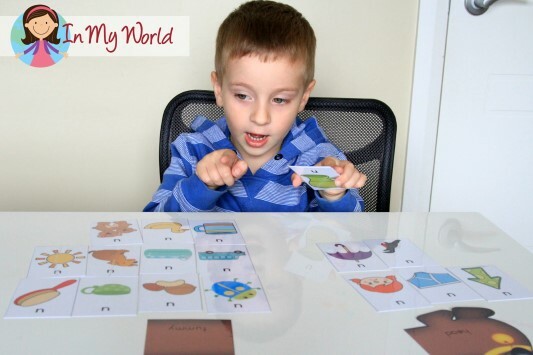 My question- Are the vocabulary cards entirely different from the Beginning sound scoops? I’ve paused my orders pending your reply. Cheers! Hope you are back to your perfect health. Ulea, the vocabulary cards are from the Sound Hound unit. There is a link to it in the text above the picture. 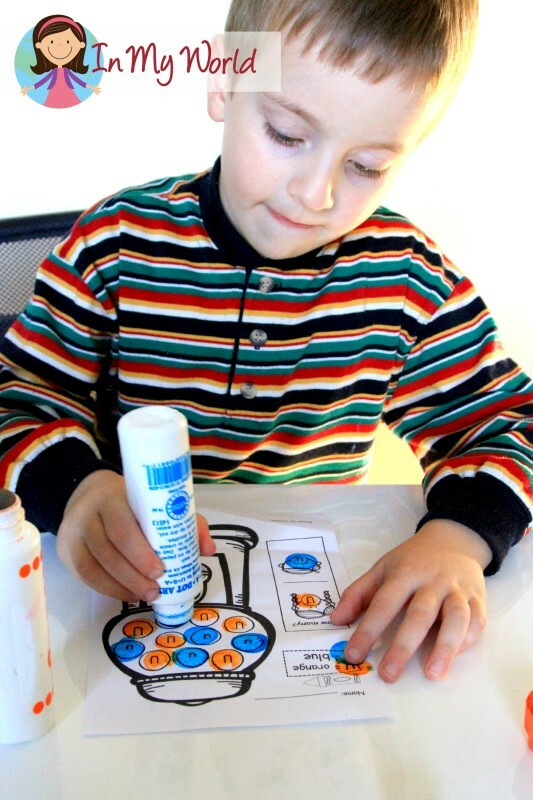 Hi Lavinia, thanks for sharing these wonderful ideas. I have a few questions. First, those gel beads are manipulated in the baggy right? Secondly, where can I find them? Thirdly, how did you get Filip to associate the middle sound for Uu? 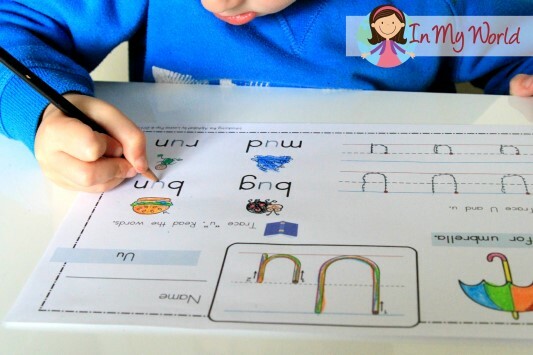 I am working with a five year old, (almost 6), who has no problems with the initial sound but CVC words with that particular vowel sound as a medial sound is a challenge. Any suggestions? Yep, those are gel beads in the bag. We got ours from the section of a dollar store where they also sell decorative sands and small stones to fill vases. I think it was easy for Filip to hear the “U” in the middle position because we have been isolating sounds with the Sound Hound for a while now.